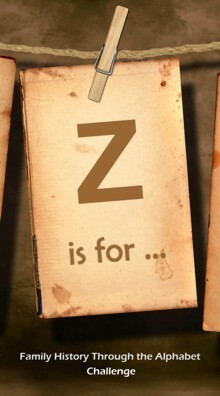 Congrats to those who took up the challenge and have made it all the way through, from A to Z. For those who can see the end in sight… know that I’m right there with you and cheering you on. If you’ve had to pause, or stop, because personal circumstances have changed, and made it impossible to continue, I send lots of positive/ healing energy your way. Hopefully you may be able to pick up the challenge later when matters improve. Last, but by no means least, thanks heaps to you Alona for setting up this Challenge, for commenting on everyone’s posts and also finding time in your busy life to write your own most interesting posts. This entry was posted in Uncategorized and tagged Family History by Catherine. Bookmark the permalink. A lovely post and I echo your sentiments entirely. Love, too,your choice for Z – great fun. thanks for sharing your wonderful stories and memories Catherine. Thanks Kerryn. So glad you’ve enjoyed them, as I have yours… not to mention, Zippidy Doo Dah 😀 … Looking forward to us sharing many more. Aww thanks for the lovely comment Catherine. Congratulations to you for reaching the end of the Alphabet Challenge, and thank you for participating. It’s been a pleasure to have you join in. And I’ve certainly loved your posts. Later this week I will be doing a Round Up/Overview type post of the Challenge, and in that I’ll have some special images that you can use (if you wish) for those who particpated, as those who completed the Alphabet Challenge. Thanks Alona. Has been lots of fun… along with some pain thrown into to mix 🙂 Am still amazed that I made it through but couldn’t have happened without all the encouragement and support from others. Your encouraging comments, to all of us, has been a joy to witness. Many thanks, always. A great finish to the challenge. I’ve enjoyed reading your posts. Well Done. Thankyou Sharon and Congrats to you too!… I absolutely LOVE your Z post and every single one I’ve read has been a pleasure … looking forward to reading many more. Thanks for enriching my life.